Its a mid-week excursion this time due partly to a booking, for The Theatre, Darling, on friday night, and to an argument about whose turn it was to do the cooking. It should have been me, but after my triumph with crumbed cutlets on Sunday night I had run out of ideas. (The crumbed cutlets were excellent if I do say so myself, even thought the only crumbs available on short notice were quinoa infused – but don’t get me started on the whole quinoa thing). So it’s a quick Dogbladder at the Marly before we rendezvous at tonight’s target, Guzman y Gomez. But after sticking our noses in the Mexican’s door we quickly decide that one big table in the middle (currently fully occupied by Young People) does not qualify as tables and chairs as defined under Rule 4 (thank you Rob.) 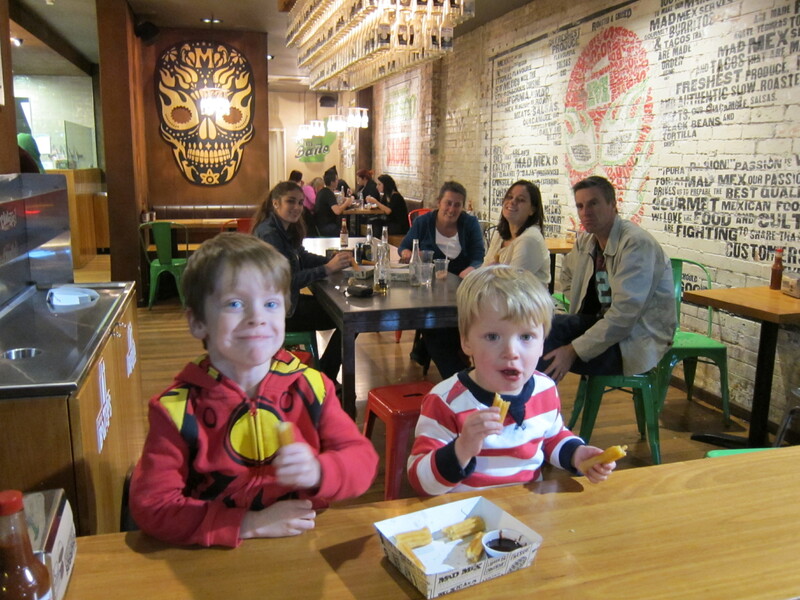 Having already eaten once or twice at Newtown’s GyG, and many times at the Australia Square GyG, I am prepared to make a call on the whole Mexican Standoff thing. 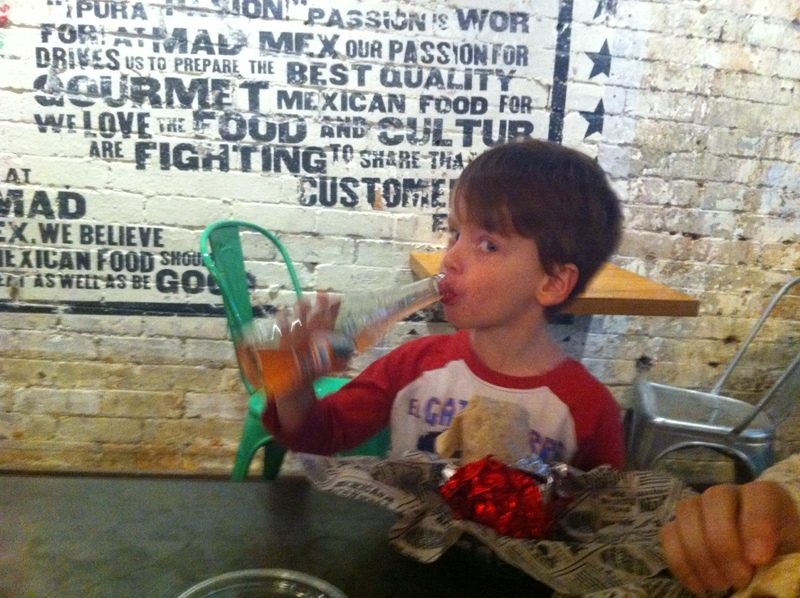 GyG is better than Mad Mex because I have never had a cold burrito there. We quickly reverse out of GyG to see what is next on the running sheet. And there it is, right next door: the prequel to Newtown Thai 2. Oh dear. Be brave. 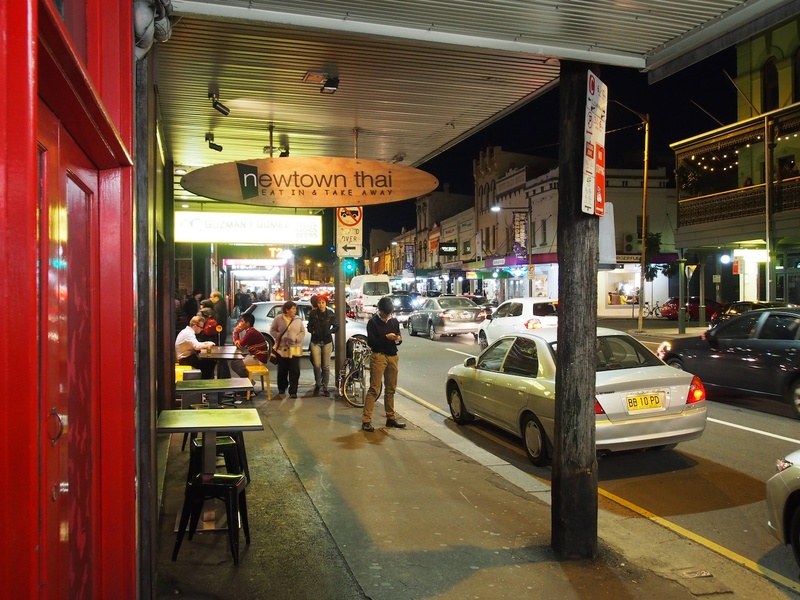 On the bright side however Newtown Thai has a door that closes and glass in the windows to keep the winter chill out, so at least we will be warm. It is also very busy which is a good sign. After a quick scan of the drinks menu we decide that the Ice Pinky or the Ice Greeny are just not going to cut it tonight. We are going to need alcohol. So while Strop settles in and does the ordering, I toddle back up the road to purchase some beers to lubricate the passage of the food and ease the up-welling of the chat. I have barely prised the tops off a couple of bottles of White Rabbit/Dark Ale with my trusty aluminium extrusion key-ring bottle opener (courtesy of a window salesman who mistook me for an architect), when a couple of mixed plates of entrees arrive at the table. The highlights are some nice succulent satay sticks and the deep fried bread with minced chicken topping (enigmatically called Kar Nom Pang Nar Kai). Already this place is better than its sequel. Next up is the obligatory Number 37, which tonight has turned out to be a salad. Even though it is a cold night, this is a pleasant change. In the past number 37 has usually fallen into the stir fry or stewy section of the menu. Plar Goong is a prawn salad with big juicy prawns and lots of greenery and plenty of flavour. It is tonight’s winner as the last dish, Mussoman Curry is a real let down. The sauce is very sweet, the peanuts look as if they have been sitting in it for a long time, and the beef is dry and over-cooked. There didn’t seem to be anything wrong with the potatoes. 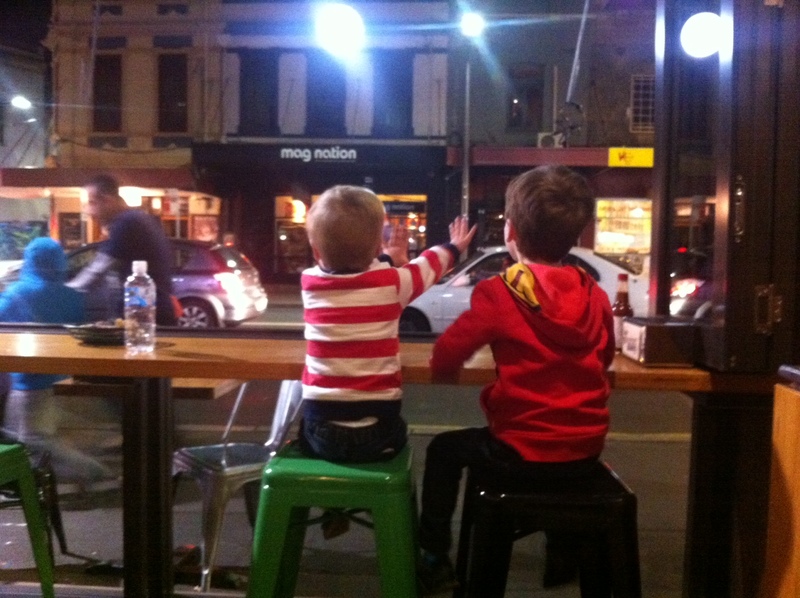 As it is a school night, we decide not to risk dessert and instead wander back down the hill to the safety of Camperdown, in plenty of time to fall asleep in front of Gruen Nation. Newtown Thai is better than it’s sequel but there are plenty of better choices for Thai food on King Street. Next up is a vegetarian joint across the road, and a date with Nedsky.